Sleek and sophisticated aluminium bi-fold doors in Westbury on Trym installed by Panoramic are the best way to integrate the spaces in your home. Why Choose Aluminium Bi-Folding Doors from Panoramic? 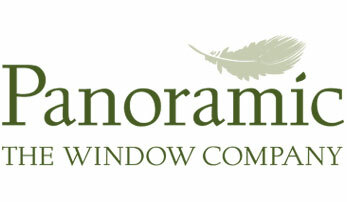 At Panoramic, we believe in giving our customers a smooth and stress-free service along with high-quality products. When you choose us for your bi-fold doors, you can be sure that you will get a product you can trust that is installed efficiently. We have had almost 50 years in the industry to perfect our craft, and you get the benefit of this. We are also Assure-certified installers, to give you further peace of mind. This means that you can be sure of a professional and reliable aluminium bi-fold door installation, no matter what. With Panoramic, you can get tailored aluminium bi-folding doors in the configuration and colour you desire. We offer all the performance features you may need, complete with the installation in your Westbury on Trym home. This installation is compliant with all regulations and standards, giving you bi-fold doors that are durable and give flawless performance throughout their lives. 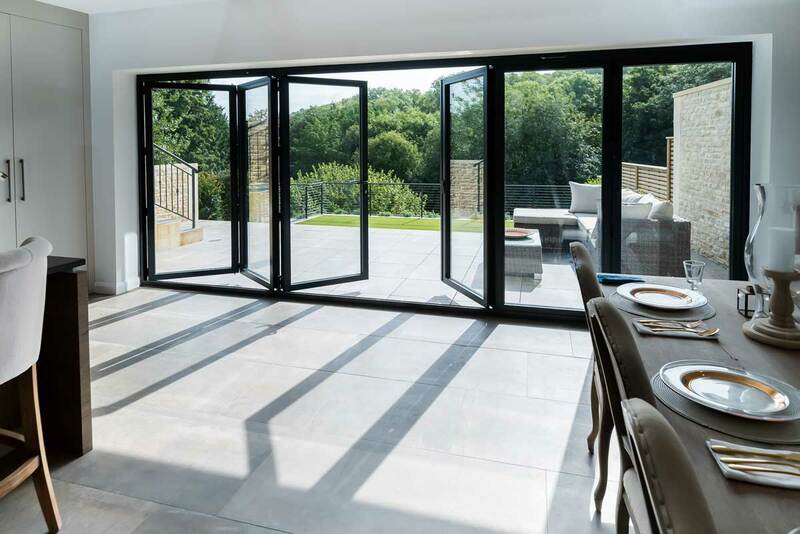 Why are Aluminium Bi-Fold Doors the Right Choice? Aluminium as a material is a fantastic choice for your aluminium doors. This is a strong metal that does not rust or rot. It is also extremely strong, yet light. Due to its strength, you can get slimmer profiles without compromising on the strength of the doors and the security of your home. The durable aluminium frames of our bi-folding concertina doors are incredibly difficult to damage. They are able to resist the most dedicated break-in attempts quite easily. Even their opening and hinge mechanisms are made of premium materials for better resilience. Additionally, the slim frame of these doors gives your Westbury on Trym home a sleeker, more modern look. These slimline bi-fold doors give you a larger glazing area for much more natural light and beautiful, unobstructed, views. Aluminium bi-fold doors are also available in a wide selection of RAL colours, so you are better able to tailor your doors to the aesthetics of your home. These slim and sophisticated doors will add a stylish element to your home, whether it is traditional or modern. Aluminium bi-fold doors are one of the most popular door styles in the market currently. This is because they offer a host of beneficial features that make them worth the money you invest in them. In addition to the strength that is inherent to the aluminium bi-folding door frame, we also fit them with advanced security features. This, combined with our high-quality double glazing in Westbury on Trym, gives you a point of ingress that is as secure as it is stunning to look at. 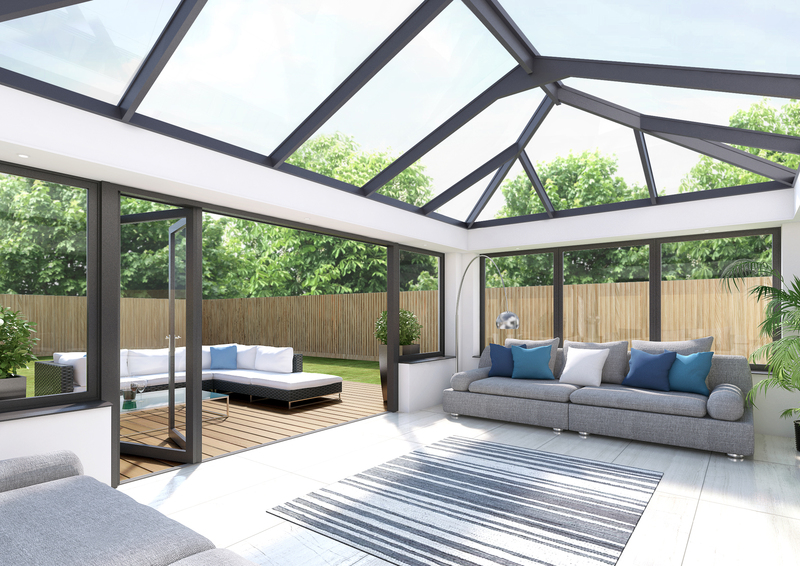 While traditionally aluminium has always been considered as a poor insulator, our aluminium bi-fold doors are designed to give you superior thermal performance. These double glazed bi-fold doors come with innovative polyamide thermal breaks that stop the heat on the inside of your home from being transferring out. This helps you keep your Westbury on Trym home warmer with less heating, saving you money on annual energy bills. 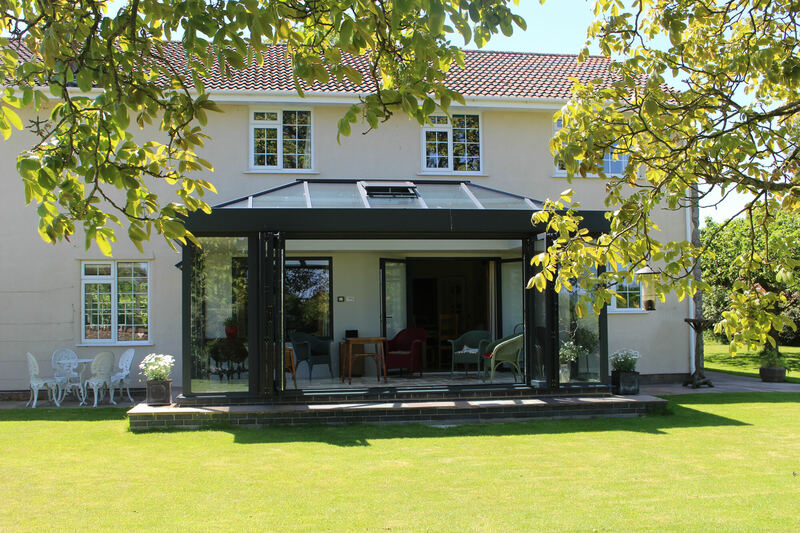 The slim profile of our aluminium bi-fold doors in Westbury on Trym gives you a better glass-to-frame ratio. This means that you get more sunlight flooding into your rooms and spectacular views that are not impeded by unsightly frames. Since aluminium does not rot like wood, or rust like iron, these bi-folding doors are better suited to weather the elements. In fact, they are so durable that they last long even in areas close to the sea. This means that your doors last you much longer than any other door would. Our aluminium bi-folding doors come with so many customisation options that they can be tailored for every need, whether you have a traditional property or a modern one. You can decide how wide you want them, how many panels you need, their opening configuration, and their colour and finish. This gives you doors that are unique to your home and needs. No matter how wide you want your doors, you will never have to worry about leaving floor-space free for opening and closing them. These doors fold away into neat panels on one side, giving you not just the entire aperture to use but also the space around it. If you want to learn about your aluminium bi-fold door prices in Westbury on Trym, try out our online quote generator. You speak to us on the phone by calling us on 01179 560321 or book an appointment to meet us. Someone from our expert team will discuss your needs to help you make the right choice and give you your personalised bi-fold door quotes.